NIM tracking well, strong non-interest income traction; stable asset quality indicators. Loan growth surprised; 2Q17 loan growth at 2% q-o-q, 11% y-o-y, 4% YTD. Earnings raised by 2-8% across FY17-19F on higher non-interest income prospects particularly wealth management and insurance. Upgrade to BUY, TP raised to S$12.80 post earnings revision and rolling forward valuation base to FY18. Improving prospects; upgrade to BUY. Expectations on rising interest rates continue to push up valuations. OCBC’s key differentiating factor lies in its insurance business which gives it a more holistic wealth management platform, which we believe the market may still be under-appreciating. Solid 2Q17 earnings were testimony of its non-interest income franchise. An 18-Sct interim dividend was declared in 2Q17. OCBC's 2Q17 net profit of S$1,083m (+11% qo-q, +22% y-o-y) was driven mainly by strong non-interest income from the wealth management and insurance businesses. NIM rose 3bps q-o-q to 1.65% from gapping opportunities and higher loan-to-deposit ratio, with loan growth outperforming deposits growth. However, this was 3bps lower y-o-y as interbank rates were lower compared to a year ago. Loan growth was strong at 2% q-o-q, 11% y-o-y from trade loans, loans for business investment overseas and housing loans. Deposit growth was skewed towards low cost deposits – CASA. Expenses were higher with additional staff cost from the Barclays acquisition while technology-related costs remained high. With a strong income growth, cost-to-income ratio eased to 41%. Strong wealth management and insurance contributions. The key highlight of OCBC’s 2Q17 earnings was its sustained wealth management income momentum, comprising 33% of total income. Bank of Singapore’s (BOS) assets under management (AUM) rose 47% y-o-y to US$89bn. In addition, favourable market conditions saw the non-operating income of Great Eastern Holdings (GEH) rise significantly. GEH's underlying business was strong with total weighted net sales and new business embedded value (NBEV) rising by 6% y-o-y and 17% y-o-y respectively. NBEV margin rose to 47% from 42% a year ago, driven largely by its agency and bancassurance distribution channels. Provisions were stable q-o-q although higher y-o-y. Specific provisions were lower but was made up by higher general provisions following a strong loan growth. Compared to peers, OCBC did not release any general provisions to offset specific provisions. Absolute NPLs and NPL ratio remained stable. NPL ratio stood at 1.3%. New NPL formation was a little higher q-o-q due to the reclassification of its Hong Kong loan book to follow the stricter Singapore classification of NPLs. Loan loss coverage stayed at 101%. OCBC’s oil & gas exposure declined by 8% to S$15.8bn or 6.9% of total loans (1Q17: S$17.1bn/7.6% of total loans) due to repayments. NPL ratio for the oil & gas segment improved correspondingly to 0.59% from 0.62% a quarter ago. A third of its oil & gas NPLs are still being serviced. OCBC’s commodity exposure has also reduced from S$16.4bn to S$15.8bn with NPLs being low at 0.18%. OCBC’s non-oil & gas portfolio remained stable at 0.63% within the 0.5-0.7% guidance). Regional operations did relatively well except Malaysia. Stripping off a tax writeback in 2Q16, OCBC-WHB’s pre-tax profit grew 3% y-o-y in 2Q17. The Hong Kong NIM slacked due to the gap between 1-month HIBOR (used to price loans) which was lower vs 3-month HIBOR (used to price deposits). OCBC Malaysia saw some NPL slippage in its SME and housing loans. Meanwhile, OCBC NISP remained the star of OCBC’s regional operations with a 24% y-o-y earnings growth from better revenues. Stable dividends; capital levels dipped a little. OCBC declared an 18-Sct interim dividend, similar to the quantum last year. The scrip dividend scheme is not applicable. Management remains comfortable with its current fully loaded CET1 ratio of 12% although lower than peers as it continuously reviews its investment portfolio and risk-weighted assets. Capital ratios dipped a little this quarter due to higher risk-weighted assets following a stronger loan growth (higher credit risk). 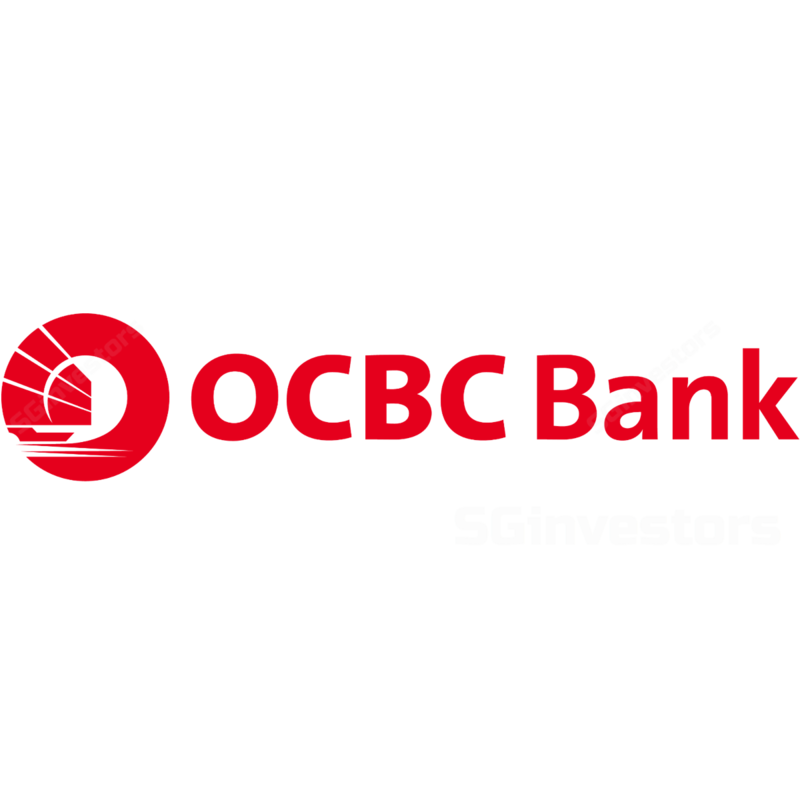 OCBC’s CEO, Mr Samuel Tsien’s tone sounded a little more positive during the 2Q17 analyst briefing compared to the last quarter where he articulated that the bank remained cautious on the outlook for the oil & gas segment. The oil & gas segment is expected to still stay challenging so long as oil prices hover around the US$50bbl level. While he still echoed a similar cautious view on this segment, we noted that there was a positive vibe when it came to business sentiment overall where improvements were noted. OCBC’s regional operations have done well and are expected to stride on well albeit a slight dampener seen in its Malaysian business. NIM guided to be flat from FY16; sticking to mid-single-digit loan growth guidance for FY17. NIM is expected to pick up slightly from current levels, possible loan re-pricing following rate hikes and from stronger loan demand. Management has guided for NIM to hover around 1.67-1.68% – levels seen towards the end of 2016. Loan growth has picked up but management has stuck to a conservative guidance of mid-single-digit loan growth. Our FY17F NIM is toned down to 1.68% (from 1.71%) but we raised loan growth to 7% (from 5%) following a strong loan growth momentum noted YTD up to 2Q17 of c.4%. Loan growth is driven by trade loans, overseas business investment loans and housing loans. Capital levels are expected to be well managed with a more efficient use of capital and as the bank moves towards growing higher quality loans as well as gearing up its non-interest income franchise (wealth management) which utilises less capital. The scrip dividend scheme may be called back if there are new business opportunities and if Basel 4 requires additional capital from higher risk-weighted assets. Earnings raised by 2% for FY17F, 6-8% for FY18-19F; backloaded NIM uplift, stronger loan growth and improved non-interest income traction. OCBC’s NIM continues to chug along but momentum is slow following a weak start in 1Q17. SOR rose but has slipped back to end-2016 levels while SIBOR is finally creeping up, > 10bps above end-2016 levels. Sustained upward trajectory of SIBOR could re-rate NIM higher. We toned down our FY17F NIM to 1.68%, flattish from FY16, in line with management guidance, but backloaded NIM upside to FY18-19F, expecting it to rise by 3bps per year, with a view that SIBOR would rise on a sustainable trend and loans repriced accordingly with gapping profits as a wildcard. OCBC’s YTD loan growth of 4% is promising, prompting us to raise our FY17F loan growth to 7% (from 5%). Our FY18-19F loan growth is now at 5% (from 4%). We also raised our non-interest income forecasts following a stronger-than-expected momentum observed up to 2Q17. Overall, our FY17F earnings is marginally raised by 2% after trimming NIM but raising loan growth and non-interest income. Our FY18-19F earnings forecasts are raised by 6-8% from higher NIM, loan growth and sustained improvement from wealth management and insurance. Our earnings forecasts remain above consensus. Asset quality issues pertaining to the oil & gas segment have been dealt with, and sufficient provisions are said to have been made. A visible improvement in asset quality contrary to stabilisation could mark an added re-rating catalyst apart from better NIM, loan growth and non-interest income prospects. OCBC’s NIM continues to chug along but momentum is slow following a weak start in 1Q17. SOR rose but has slipped back to end-2016 levels while SIBOR is finally creeping up, >10bps above end-2016 levels. Upgrade to BUY, Target Price raised to S$12.80. Our TP is raised to S$12.80 (11.5% ROE [raised], 3% growth, 9.5% cost of equity) following our FY17-19F earnings adjustments as well as rolling forward our valuation base to 2018; equivalent to 1.3x FY18 BV, its 10-year mean P/BV multiple. Faltering NIM and non-interest income traction. Inability to see revenue generation from improved NIM as well as better wealth management and insurance income contribution could pose downside to our earnings forecasts.